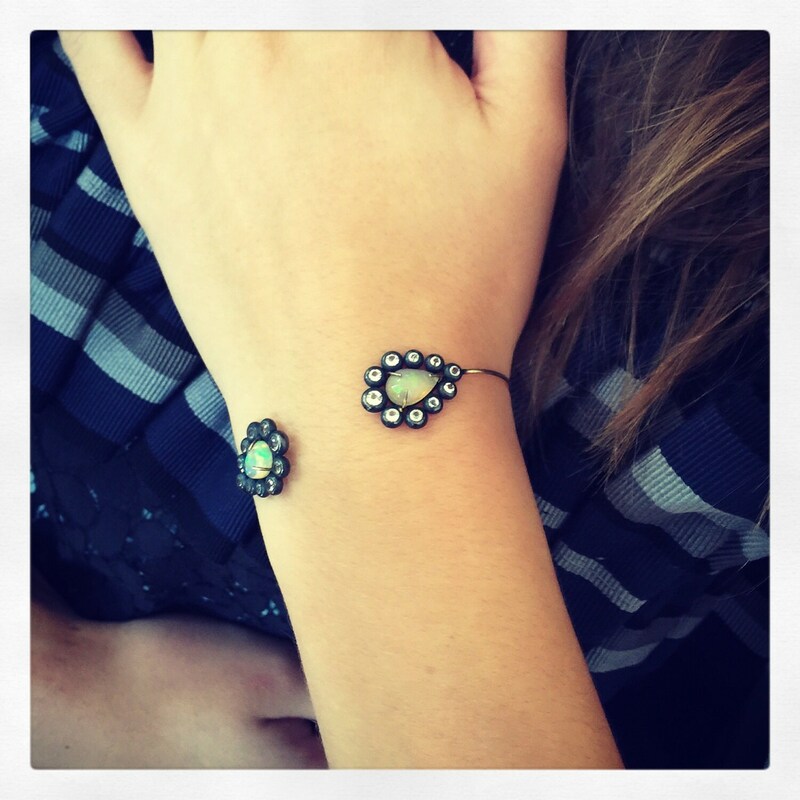 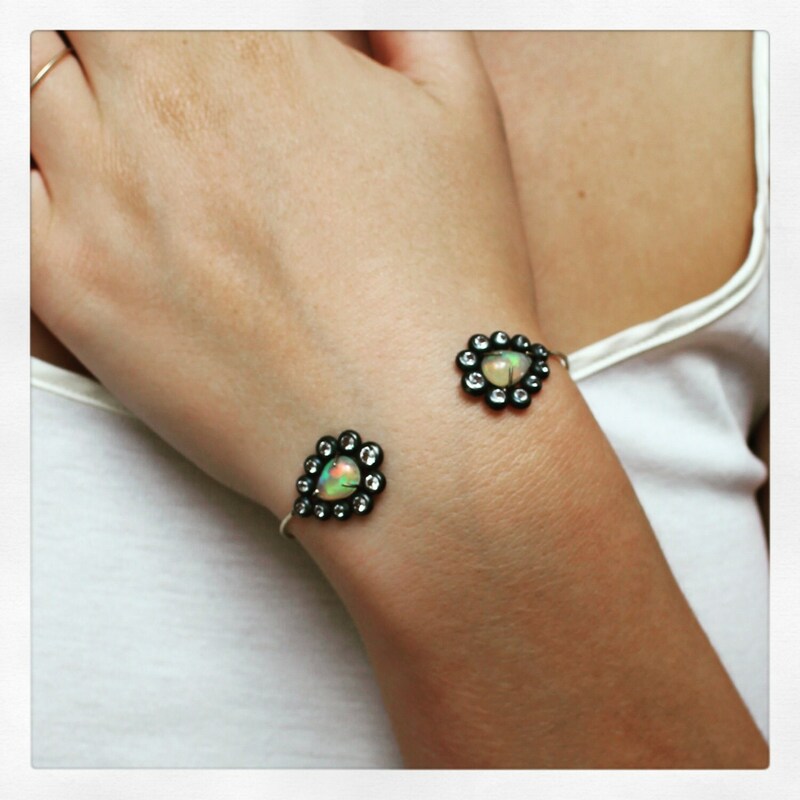 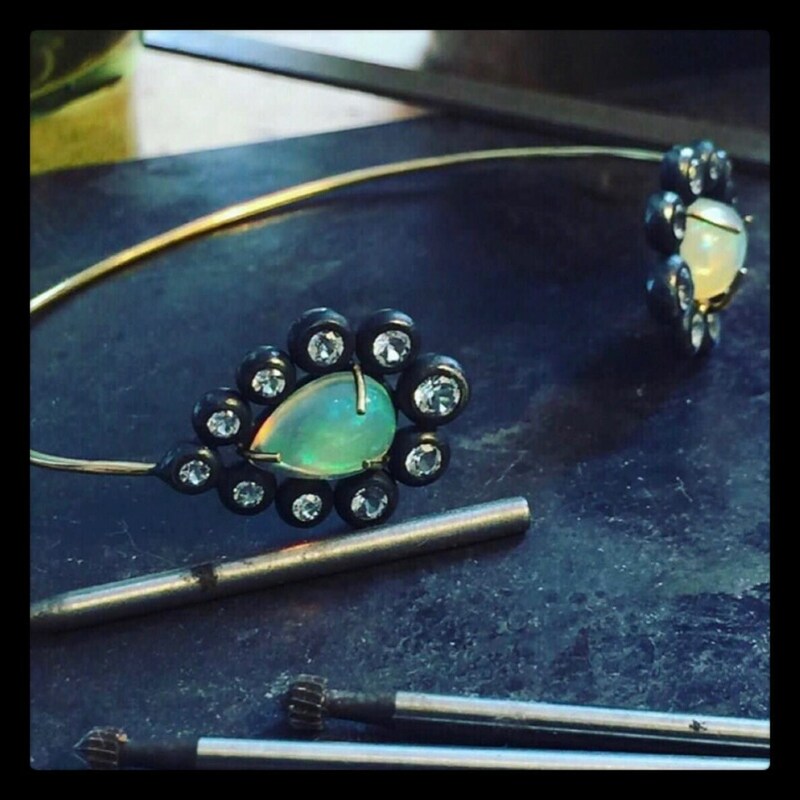 This beautifully handcrafted Bracelet / Cuff is made of 14K gold, blackened Silver , Opals and Topaz . 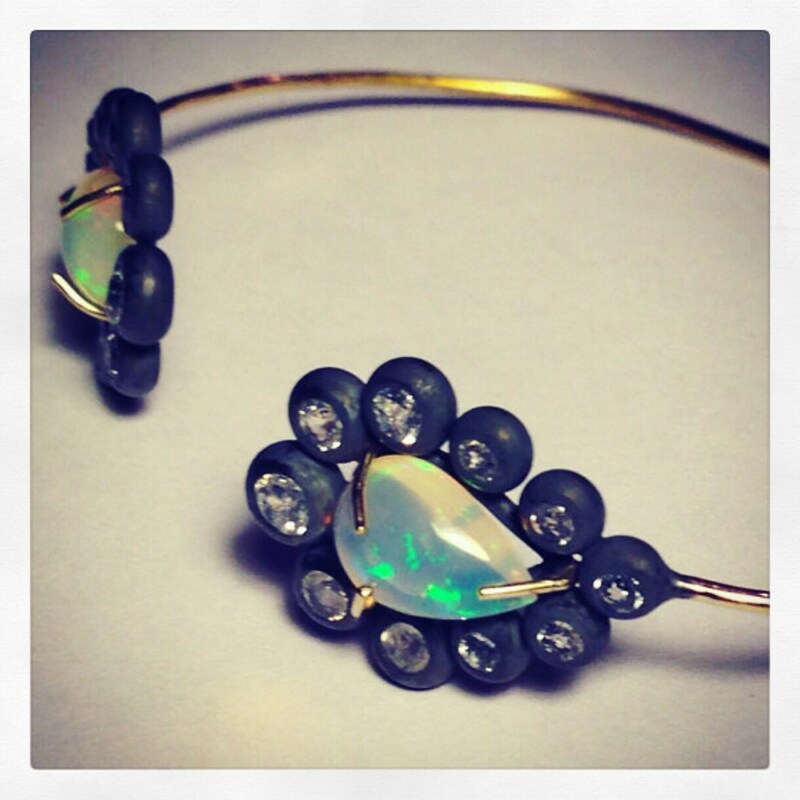 One of a kind piece . 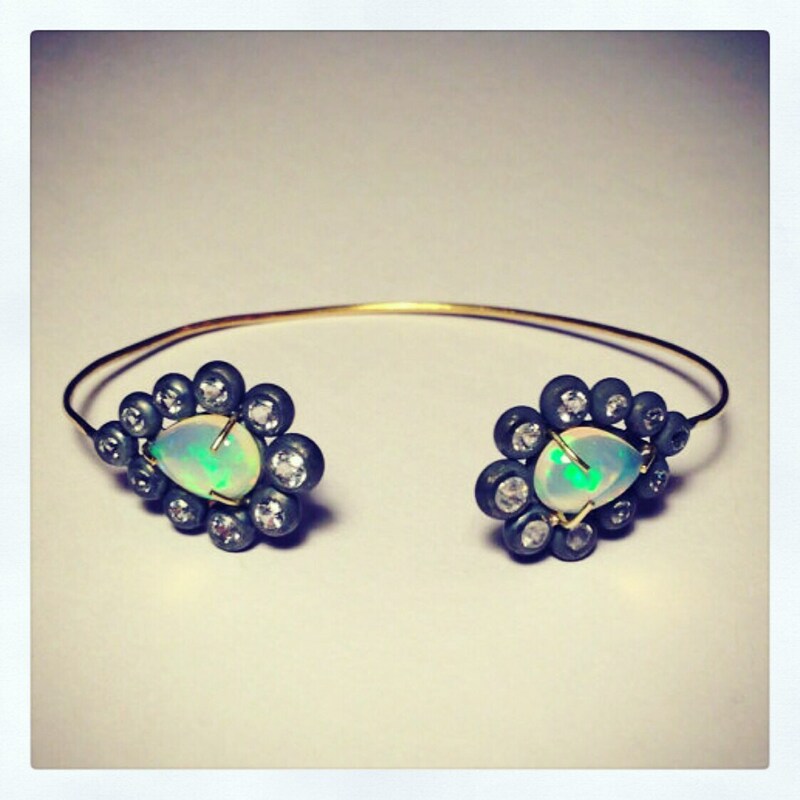 Since I will never find the Opals in this size and shape again, this Cuff will always be one of a kind .